Read these instructions carefully. If any damage is discovered after your trip and you did not take and upload or email us photos as instructed to show the damage was either there when you picked the car up or not there when you left it, you may be held responsible. Before you drive, and again at the end of your trip, you must check the car for damage and take photos showing all surfaces and the interior of the car. 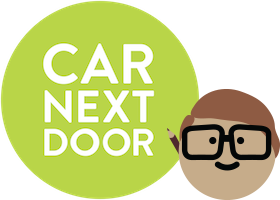 emailing them to members@carnextdoor.com.au (only do this if you cannot upload them). This should only take a couple of minutes, but it's really important as it's to protect you in the case of a damage dispute. Uploads are only available up to 48 hours after your trip ends. We will not accept any late photos or excuses. If damage is reported later on and you have saved the photos but have not submitted them within 48 hours them as instructed, your photos will not be considered. You can upload photos through the app or website during a trip. Take at least four photos of the car's exterior and at least two of the interior, making sure that they show all surfaces of the car, including the bonnet, front, back, roof and both sides of the car (the views should overlap so that you don’t miss any corners), and the front and back seats. These photos are essential to protect you in the case of a damage dispute. Even if it's dark, do your best to take clear photos (try using the flash, or if you have a friend with you ask them to hold up their phone's torch for extra lighting) – but watch the traffic and don’t endanger yourself! If you find any significant damage or you don't want to drive the car, call us. I can’t get the little thumb to accept my yes for being helpful.